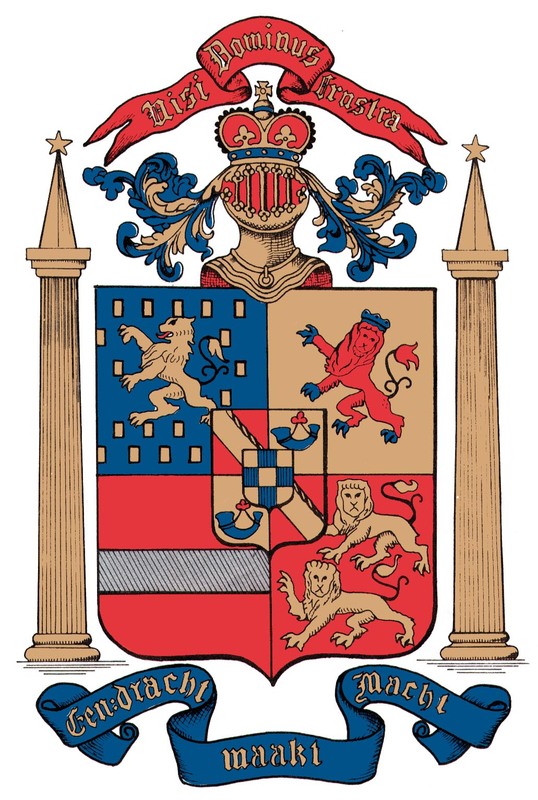 The crest of the Reformed Church in America is adapted from the coat of arms of the founder of the Dutch Republic, William the Silent, Prince of Orange (1533-1584), and the leader to whom the Netherlands owes its civil and religious independence. The crown atop the shield represents Emperor Charles the Great (1500-1558), ruler of the Holy Roman Empire. Under his rule, a legislative body that represented all of the Netherlands was developed, and the Dutch were permitted to add their imperial crown above the coat of arms. Ironically, Charles the Great fathered one of the Reformed Church's greatest oppressors, Philip II of Spain. It was against Phillip II that William the Silent fought his long and bitter struggle for religious liberty for the Netherlands. The various countries represented on the coat of arms show the principalities of which William was ruler, or to which he was in some way related. The upper left quarter of the large shield bears the arms of Nassau in Germany. The gold lion defendant on a blue field is surrounded by seventeen gold rectangles, which represent the states of the United Netherlands. Other parts of the coat of arms represent locations in Germany, Luxembourg, Switzerland, and France. The small quartered shield represents various principalities. The first and fourth, which bear diagonal bands of gold on red, stand for the principalities of Chalons; the second and fourth quarters, which depict the horn of a bugle on gold, symbolize those of Orange. These martial horns portray the courageous leadership of the early princes of Orange, who battled against the Moors and Saracens. The smallest shield is that of Jane of Geneva, who married one of the Princes of Orange. 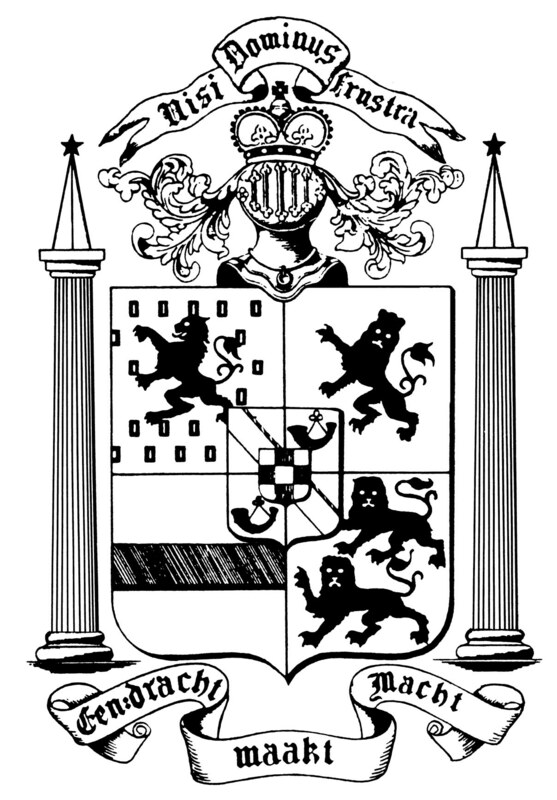 To adapt William of Orange's coat of arms, the Reformed Church added the pillars, stars, and mottoes. The Latin words, Nisi Dominus Frustra, "Without the Lord all is in vain," reveal humanity's complete dependence on God. Eendracht Maakt Macht, "In unity there is strength," summarizes a lesson the Dutch learned through their war for independence.